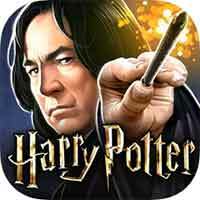 Guide for Year 4 Chapter 7 Harry Potter Hogwarts Mystery Beasts, Beings, And Creatures Walkthrough – After your encounter with a Centaur, you return to Hogwarts to seek help from your friends and Madam Rakepick. 1. Meet Charlie to discuss your latest trip into the Forbidden Forest. 2. Meet your friends to learn more about Centaurs. 3. Search for clues with your friends. 4. Talk to Ben / Bill / Rakepick about finding the missing arrowhead. – Charms Classroom : Cistem Aperio – it’s used to blast open a trunk, chest, or other container.